There truly is no place like home, and the dignity of living in your own home is something innately treasured by people of all ages. As the senior members of a family age, many prefer to live in their own home for as long as possible. If, however, the need arises to make arrangements for a different housing option, it’s important to make an informed decision. Begin by listening intently to your loved one’s preferences. Take into consideration their need for safety, socialization, and daily physical or medical assistance. Adults 55 or older who prefer to live in a neighborhood exclusively for fully independent seniors who enjoy recreation and don’t need any type of assistance appreciate living in active adult communities. These communities are typically made up of apartments, homes, or townhomes. Socialization is the core of active adult communities, a feature which draws lively seniors to this type of living option and enriches their lives daily. With a variety of educational classes, fitness activities, social gatherings, tennis courts, golf courses, a clubhouse and pool on the grounds, quality of life abounds in these communities. Who chooses an Active Adult Community? Healthy, independent, active seniors who enjoy living in their own dwelling with a variety of activities and social opportunities right outside their door. The beauty of assisted living communities lies in the fact that individuals remain as independent as possible, yet have help as needed. When assistance is required for activities of daily living such as personal care like bathing, dressing, and medication management, assisted living facilities are a fabulous option. Residents enjoy their own private apartment, yet gather for meals and activities. Transportation services and housekeeping services give individuals an added measure of security and opportunity to streamline their responsibilities so they can spend their energy enjoying life. Who chooses to live in an Assisted Living Community? Those who enjoy social activities and only need assistance with self-care, medication management, and meals. Individuals who need skilled nursing care find nursing homes the perfect choice whether their needs are short term (for example: to recover from a fall) or long term (due to medical and physical needs). The nursing home’s onsite medical care is available 24/7. Often, nursing home residents also receive physical therapy, occupational therapy, and speech therapy to strengthen areas that need to be addressed. Nursing homes also provide appropriate activities for residents. Who chooses a Nursing Home for themselves or their loved one? Those who need 24/7 skilled nursing care. 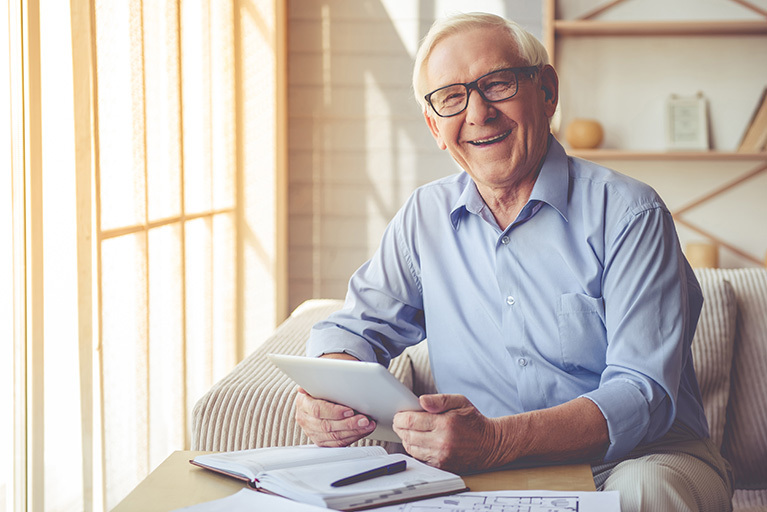 These communities offer the wide variety of senior housing options all on one campus so that individuals have all they could possibly need on the grounds. Although many stay in their own home or independent living apartment for the duration of their lives, others progress to the assisted living facility, and those in need of 24-hour medical assistance become residents in the retirement community’s nursing home. The convenience of the opportunity to have one’s needs met no matter what they are — all on the same campus — draws residents to move to a continuing care retirement community. The various levels of support give families peace of mind, knowing their loved one is cared for at the specific level of their needs. Who chooses a Continuing Care Retirement Community? Those who desire the convenience of three housing options on one campus, which they can partake of according to their physical, medical, and social needs. Be aware of the lifestyle and medical needs of your loved one. Assess if your loved one needs assistance with activities of daily living. Discuss the best fit in senior living options and reassess your decision periodically. Tour different facilities within the category that best fits your loved one’s needs. Decide as a family where and when it is best for your loved one to make the transition. Support your loved one by visiting them once they have transitioned. Understand that family involvement on an ongoing bases enriches your loved one’s life. The Parke Assisted Living offers an elegant atmosphere, thoughtful design, and premier services for you or your loved one to enjoy. Our secure, caring living arrangements, supportive environment, and convenient location are just a few of the many things people love about us. Enjoy assisted living with dignity and grace. Join us for a free dinner and learn more about The Parke Assisted Living. Call us today to schedule a tour for you and your loved one.